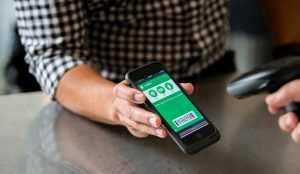 The future looks bright for digital wallets, especially as consumers become more comfortable sharing their information with banks and retailers. Although we’re a long way off from such innovation, one day it will be possible for users to connect their wallets to the electronic health records and more. This will truly create a unified experience for the user, and help to center all of his activities. Today, we’re in the beginning stages of that transition. The technology behind these applications is changing. Mobile smartphones that have NFC technology built into them are changing how we interact with cashiers. Already, payment data can be transferred wirelessly to pay for goods and services. Tokenization makes it harder for malicious forces to steal information during a transaction too, which is far safer than the outdated stripe cards of yesteryear. There have also been several interesting methods to help monetize these customers. Beacons, for example, will create alerts for customers to utilize unused coupons. The applications will also store these deals for the user, so there is never the hassle of missing a discount because the coupon isn’t with you. Since 2013, mobile devices finally overtook PC devices for online shopping and that’s been a monumental achievement for digital wallets. Part of that adoption has been affordability. Businesses are finally finding the technology to handle these transactions at an affordable rate. Consumers have been there the whole time, but support has always been the issue. That’s finally starting to change in a really big way. Article submitted by Charge.com, credit card processing services. Charge helps businesses with contract free merchant accounts for ecommerce businesses.